Baby Shark! Doo doo doo doo doo doo! The book of the snappy song. Sing it, mime the actions and laugh out loud! You’ve watched the video. You’ve heard the catchy song. But have you read the book? 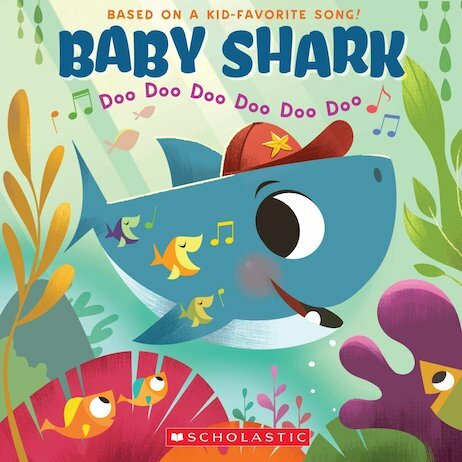 The hit tune you know and love – now written down in full, with fabulously funny pictures of Baby Shark, Mama Shark, Daddy Shark, Grandma Shark and their terrified prey. Follow the prompts to snap your teeth like Daddy Shark, make a fin to go hunting and (of course) run away fast! Will you get home safe at last?